The Shabbat Tent Team started unofficially during the hours connecting 1999 and 2000. 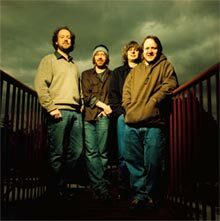 The rock band Phish was celebrating the coming of a new millennium at the Big Cyprus Indian Reservation in South Florida by playing for more than 12 hours over the span of two days. A small team consisting of Adam Weinberg, Joshua Vogelstein, and Rav Shmuel set up a small camping area to provide concert goers Shabbat services (including an amazing Kabbalat service sung while fireworks and disco-parties blared from nearby camp sites) Kiddush, Challah, and lively all-night discussions. Jews from all walks of life attended the services and engaged each other in issues of Judaism, music, spirituality, and social responsibility. There was little promotion, no funding, and lots of turn out – the seeds for providing Shabbat at mega-festivals were planted. During the next few summers, the team replicated the Shabbat Tent resource at more than a dozen Phish concerts and summer music festivals. However, without the direct assistance from camping directors, festival promoters, and funding, the Shabbat Tent functioned on a small scale reaching only a small percentage of attending Jews. The major change in the operation of the Shabbat Tent Team occurred the weekend of March 9-11, 2007. 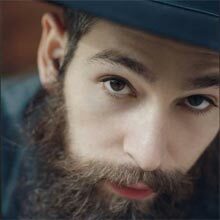 Famed reggae singer Matisyahu contacted team member Adam Weinberg to organize a large scale Shabbat Tent at the South Florida music and camping festival Langerado. With the support of a headlining artist, the team was able to work closely with the festival camping director and promoters in setting up a 1600 sqft space in the middle of the campgrounds ready to cater to everyone and anyone’s Shabbat and spiritual needs. The Shabbat Tent fed more than 300 people throughout the weekend, ran services catering to any Jew who chose to show up, and provided a comfortable and open space for hundreds more to relax, form social networks with other festival-goers, and share in a taste of Shabbat among the noise of a large music festival. Since 2015, Shabbat Tent has focused on bringing the digital detox element to festivals and collaborated with organizers of Coachella, High Sierra, and Lockn on the Shabbat Tent — both as a place for vegetarian kosher food and where people go to unplug, meditate, build friendships and have conversations.